Not sure if you need a termite inspection for your home? Chances are you probably do. Keep reading to find out why. These wood destroying pests cost property owners billions of dollars each year. This is because termites don't sleep. These are simple organisms that can feed twenty-four hours a day, 365 days a year, without stopping. So, it makes sense to ask the question, "Do I need a termite inspection?" The answer is yes, if any of the following apply to you. Are You Living In A Home That Has Some Water Damage? Termites are drawn to moist soil and water damaged wood. When these insects take to the air in a swarm, they will choose structures that offer an environment suitable for establishing a new colony. If you have had issues with broken or obstructed gutters, puddles forming near your basement walls, leaking windows, or some other issue that has led to rotted wood, your home is at greater risk and you should look into getting a termite inspection. Have You Noticed Signs Of A Termite Infestation? If you notice any of these signs, you need a termite inspection a.s.a.p. A professional termite inspector can and will tell you the extent of your infestation, and more importantly, how to eradicate these insects. Do You Have Wood Products In Your Yard? Wood products in a yard will lure these wood eaters in, especially if the wood is wet. A home with mulch near the exterior walls, bushes within two feet of exterior walls, wood stacked next to the home, and construction materials or other wood debris piled in the yard, are more susceptible to termites. Do You Currently Have Termite Protection For Your Home? Every home should be protected from termites. If your home is not yet protected by year-round termite service from a certified professional, you should at least get an inspection to make sure your equity isn't being eaten away. If you answered yes to any of these questions, it is a good idea to get a termite inspection. It is horrifying to find termites eating away at the walls of your home. 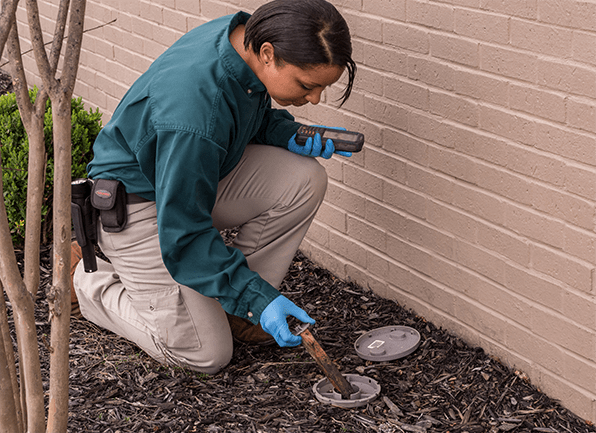 Get inspected and get protected, with year-round termite control from Action Pest Control.